Will she be lonesome? Or will she flock together with Robin and Wren, Avis and Paloma? Thanks to Photoquilty for suggesting Dove as Name of the Day. As I started to write this article, I realized I might be making a big mistake. While I thought of Dove as an avian-inspired name for girls, Dov has a history of use as a masculine moniker with Hebrew origins. And Dov boasts paws, not wings – it means bear. But an American-born Dove is probably a girl. A handful were born in the late nineteenth century – enough to appear in the Top 1000 a few times. Dov has never appeared in the US rankings – though Talon has clawed his way up the charts in recent years. A dove is a close cousin to the pigeon. There are a few hundred birds in the Columbidae family, and at least a handful of personal names related to the dove, including Jonah and Jemima. The standard-issue urban avian is the feral rock pigeon; let’s just say that we’ve yet to meet a child called named after them. As a word, dove is thought to relate to the Germanic dubon – to dive, related to their pattern of flight – via the Old English dufe. As a name, Dove could read as a deeply spiritual choice. 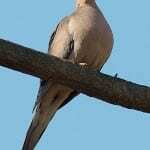 In the Biblical story of Noah, it is a dove who appears to signify the end of the floods. And the dove is used by many Christian denominations to signify the holy spirit. But the dove can be found in plenty of non-Christian – and non-Western – traditions, too. 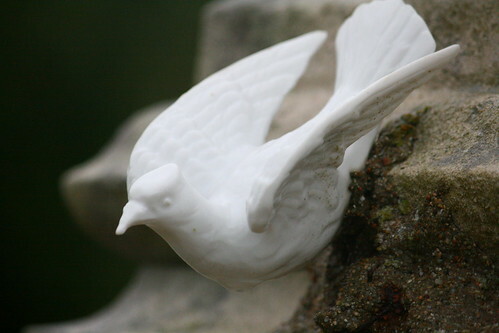 In fact, the dove’s use as a symbol of peace is probably more familiar than the religious associations. This puts Dove squarely in virtue name territory – more Hope than Nevaeh. Searching for famous people named Dove didn’t produce much, but fantasy writer Tamora Pierce used a related name for a character in her young adult novels – Dovesary. That hasn’t caught on with real life children any more than Dove, but you never can tell. And, if you’ve ever picked your way through an Italian phrasebook, dove means one more thing – where – as in dove si trova il museo? While virtually any flower name can be bestowed on a daughter, bird names are a bit tougher to wear. Kestrel could work. I suppose you could call a son Kingfisher, or even Hawk. But Tanager? Parrot? Vulture? Most of those ideas are, well, cuckoo. When stacked up against the rest of the aviary, Dove seems like one of the more wearable options. If you’re looking for a noun name, Dove isn’t as strange as, say, Refrigerator. And girls wear the equally nature-inspired Brooke or other simple noun names like Faith. Overall, Dove would probably wear well as a given name, and she’s a stunning possibility in the middle spot. I like it as a middle name. I had a great-great aunt who was an awesome lady, and her Yiddish name was Toiba, which means dove. She used Tillie in English. I’ve thought about combos like Theodora Dove for her. WDYT? I also like Yonina, which is a Hebrew name that’s the feminine form of the male name that’s usually translated to Jonah. I don’t like Yemima/Jemima nearly as much as Yonina but I’m not sure why, except my long-term fondness for Nina. Theodora Dove is gorgeous, gorgeous, gorgeous. And I love Nina. I’m less sold on Yonina, but I think it would grow on me – I hadn’t heard it until this very moment! I haven’t seen it mentioned yet, but there is an actress named Dove Cameron that just got her big break on a new show on the Disney Channel. I just heard her name for the first time a couple of weeks ago, and was immediately intrigued! MN is Olivia – gorgeous combo! SF, thanks – I completely missed that! I think it could definitely give the name a boost, and yes – Dove Olivia is a stunning combination. Is there supposed to be more to this post? I would really love to read it if so. Considering Dove as a first name… if I can get my husband on board. I have a great-great aunt who was named Dovie and have read Pierce’s Trickster novels, so Dove appeals to me. Also I found the, supposedly, Hebrew name Doveva in my name ramblings and have fallen for it. I think she makes a cool nickname for Paloma or Audovere. Perhaps a bit too much as a full fledged first name. Sophie — Oh, we have Dove soap products in the U.S., too, but that’s not at all what I thought of upon hearing the name. The bird association is far stronger in my mind. The big problem with Allegra in the U.S. is that most people are familiar with the word ONLY as an allergy medication. I do like bird names for girls, quite a lot actually. Wren is my favorite, but I’m also drawn to Lark, Kestrel, and even Nightingale (as a middle only). I could see Dove working, but it would definitely be middle material for me. Photoquilty — where did you get the idea to suggest this as Name of the Day? Do you know someone named Dove? Or had you heard it being used as a given name before? I’ve never heard of Dove being used as a name. Ooh – thanks for the clarification 🙂 I’m really glad Allegra’s ‘just a name’ over here.. I rather like her! My first thought was ‘oh dear’, but after repeating it to myself a few times, I can appreciate it – it’s rather soft and simple and reserved. It would make a lovely middle really, perhaps to balance out a more extravagant name such as Penelope Dove or Victoria Dove or something. I do have the urge to pronounce it do-VEY, kind of like duvet, but with the O sound for an odd reason, and Dovey too. Maybe it stems from what JNE expressed -I always call my kids lovey and my friends love? My sister uses Poppet. At first I thought Dove (DUHV) had too much “duh” in it, but I’ve said it a half a dozen times and it’s quite soft and, I’ll admit, there is something appealing about it. I’d have to agree that it sounds like a middle to me, more than a first. Now Paloma, that’s a different story – I love that name and it’s great up front! 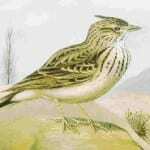 I actually quite like bird names, although not Robin – but Wren, Raven, and I was on a Lark kick for a while (which always met with a bark of laughter from my other half). I personally know a Kestral who is in his 30s and thought it was a fairly cool name (in the UK – and his brother is Falco, which in context seems one letter short of Falcon, but always makes me think of ‘Rock Me Amadeus’ instead). As for Bek’s British nannies – maybe it’s because it wouldn’t be unusual to use the similar sounding “Lovey” as a pet name (as well as Love, Poppet, and Pet) in the UK. Overall, Dove (*not* Dovey) is kind of growing on me a bit and would make a great middle name. I see something appealing about Dove. I think, though, that it strikes me more as a pet name (not the doggy kind of pet, the baby/childish nickname kind of pet) than a given name. And for some reason I’m hearing British nannies in my head addressing a child as “Dovey”… not sure why, though. All in all, not as appealing as Wren or Phoebe, but far more appealing than Emu or Penguin. I think I like it. I don’t think Erik would ever let me do it. But in all honesty, it has a pleasing sound, and definitely is different from all the -a ending names I like: Nora, Clara, Lana,etc. I knew someone whose name was spelt Dove but for some reason it was pronounced Dove-y. I was quite a young child at the time and tended to be extremely opinionated on names I’d never heard before — I thought the name was stupid and now I can’t quite shake those childish emotions. Also, when I see Dove I want to say “Dovey”. Dovesary, on the other hand, I find rather appealing. […] – He brings to mind an animal, but it isn’t a growly bear. 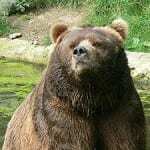 […] he’s a Hebrew name derived from the word for bear.